It's no surprise that tea consumption has been popular for centuries, not only because of health benefits, but also because of the wide variety of flavors and aromas to choose from. Settling in with a good book and drinking a steaming hot cup of tea helps to relax and rejuvenate the senses while increasing your wellbeing. 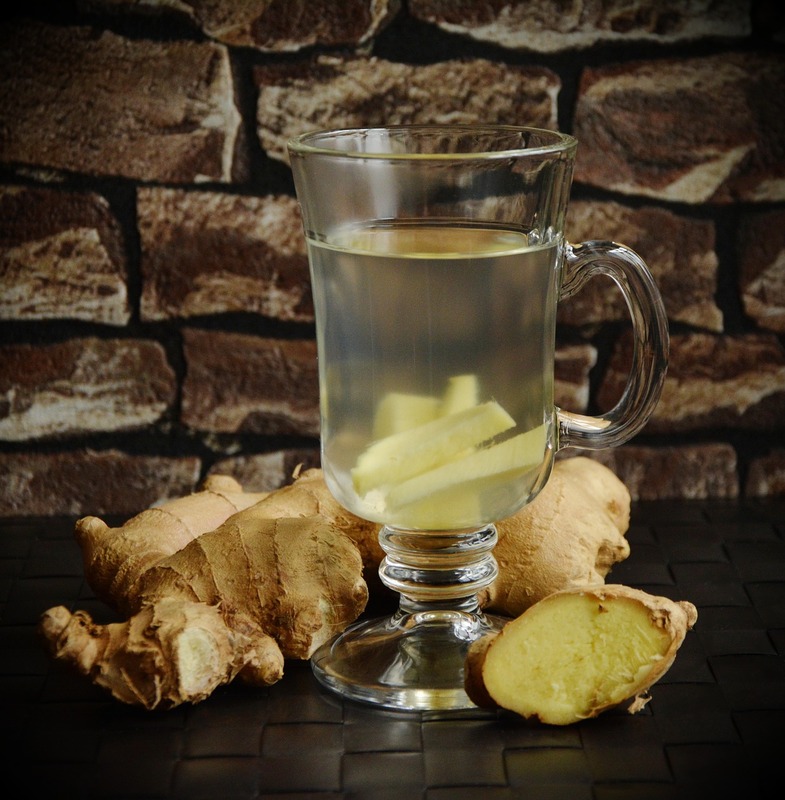 One of the most popular teas and most widely known as a natural remedy for nausea is ginger tea. Fresh ginger has long been a go-to solution for helping to settle an upset stomach, but ginger offers an extensive array of health benefits that go beyond stomach health. Used by traditional Chinese and Ayurvedic medicine as a way to connect with spirituality, ginger tea has health benefits for both the body and the mind. With the potential to regulate blood sugar levels, increase immunity and reduce pain, drinking ginger tea is a great way to stay healthy and live well. Originating in South Asia, ginger tea is now produced mainly by China and India although it is also cultivated in the Caribbean, East Africa, Brazil and Jamaica. Ginger tea is made using the stem or root of the Zingiber officinale plant, which is closely related to other strong-flavored plants including cardamom and turmeric. Fresh ginger is harvested once the plant starts to wither and the root is washed and scraped to prevent new growth. You can buy ginger root or ginger powder at your local grocery store and make your own ginger tea or opt for ginger tea in teabag form. If buying your own ginger root, look for roots that are smooth and without wrinkles, which can indicate the ginger is older and less flavorful. Ginger tea has a spicy and fragrant flavor that can be a bit intense to new palates. If ginger has too much of a kick for your taste buds, you can use lemon or honey to tone down the spice. Ginger tea can be described as having a warm, peppery and sweet flavor with a piquant smell. 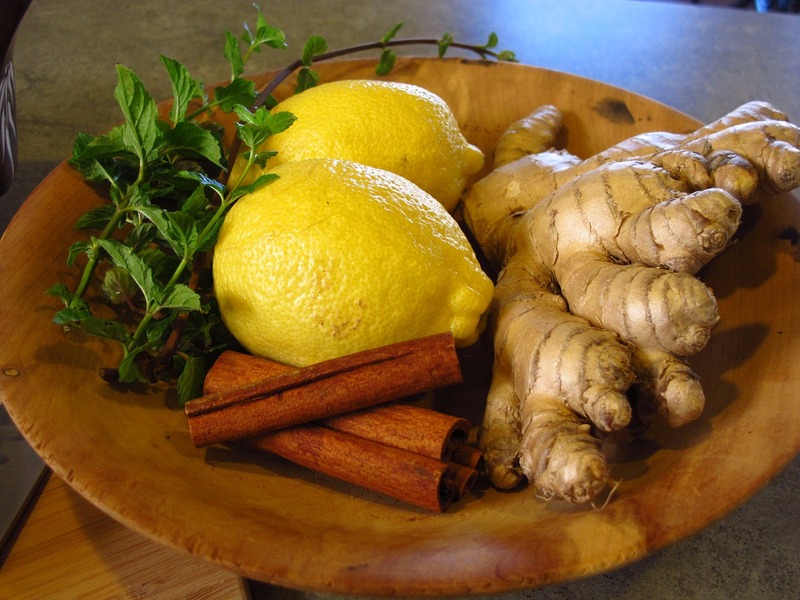 Ginger has been used for centuries as a cure for nausea and vomiting caused by morning sickness and motion sickness. A Thai study found that 28 out of 32 participants felt an improvement in nausea related to pregnancy. The study found that there were no detectable adverse effects on the pregnant women participants when the participants were given a daily dose of 1 milligram of ginger (1). Another study published in the Supportive Care in Cancer Journal showed that ginger was effective in treating symptoms of nausea during chemotherapy treatments for cancer. The study found the most effective dosage to be between .5 and 1 milligram of ginger (2). One cup of ginger tea contains an average of 250 milligrams of ginger, so you should drink two to four cups of ginger tea per day to get the best results when it comes to curing feelings of nausea (3). Ginger can give your immune system the extra boost it needs to tackle an oncoming flu or to battle a full-fledged case of the common cold. Ginger contains the biological compounds gingerol and shogaol that fight to eliminate free radicals and toxins that can cause you to get sick in the first place. Ginger tea contains antibacterial properties that help fight of the bacteria that can cause disease. The spicy kick in ginger can also help to loosen chest congestion that leads to coughs and soothe a sore throat by reducing inflammation. 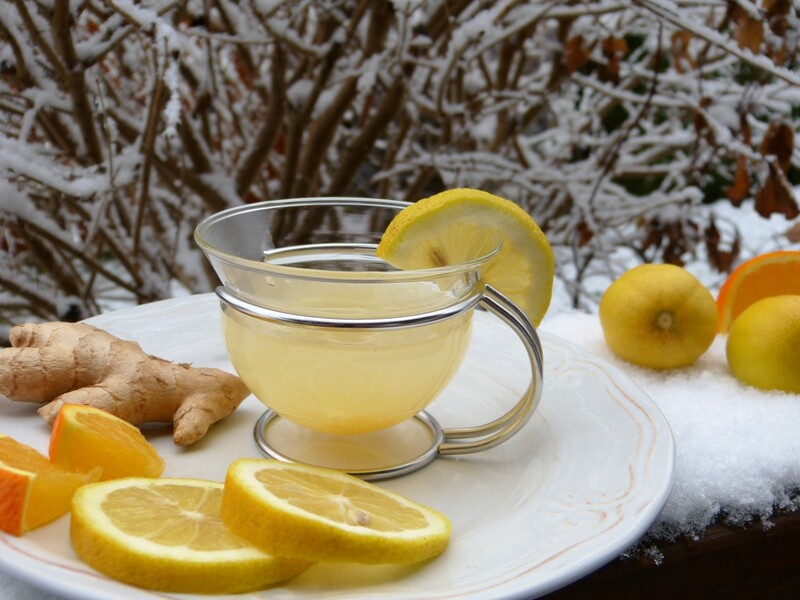 Ginger also contains high levels of vitamin C and magnesium that help to kick colds faster. If you suffer from allergies, drinking ginger tea can be a soothing way to relieve the respiratory effects of your allergies. Allergic rhinitis is simply an overreaction of the immune system to common stimuli. Ginger works to prevent the immune system response that cause wheezing, itchy and watery eyes and sneezing. One of the main components of ginger's allergy-fighting properties is the compound 6-gingerol (4). This compound blocks the activation of T-cells, which are responsible for the immune system’s overreaction to normal stimulus. In a 2016 study conducted on mice, mice that received a diet containing 2 percent powdered ginger sneezed an average of 2.1 times versus the 15.2 times of the placebo group (5). While there haven't been any studies on human subjects yet, the results from animal studies have shown promise in treating allergic reactions. In essence, ginger acts as an antihistamine that can relieve nasal congestion and sneezing, making springtime and daily allergies less debilitating. Ginger is also beneficial in supporting overall lung health and has been used for 2,500 years as a healing root. Ginger helps to eliminate mucus, clearing the airways and making it easier to breathe. It also reduces inflammation that can cause wheezing and constricted feelings in the chest and throat (6). Healthy blood circulation can prevent dangerous illnesses such as blood clots. Drinking ginger tea can help keep circulation running at optimal levels, ensuring your body can perform the functions it needs to stay healthy. Ginger is a vasodilator that opens blood vessels and allows blood to flow through more easily. Ginger contains amino acids, vitamins and minerals that improve circulation and protect heart health. By blocking fat absorption, ginger reduces the risk of build-up in arteries. Ginger contains the compounds gingerol and zingerone, which work as warming agents that effectively increase blood flow. Ginger's ability to decrease inflammation also helps to relax smooth muscle tissue in arteries and veins, thus improving circulation (7). If you want to lose weight faster, you may want to consider drinking ginger tea as part of your regular routine. 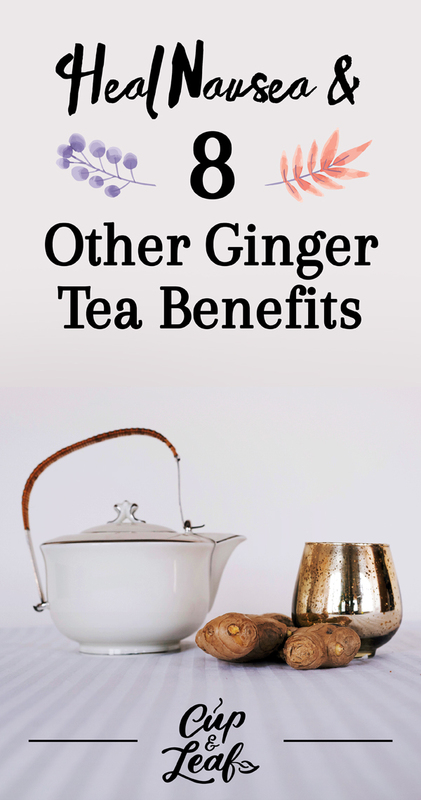 While studies like the one published in the European Journal of Nutrition have found that drinking tea aids in weight loss in general, ginger has special compounds that make weight loss easier (8). Ginger can aid weight loss by making it easier for the digestive system to break down fats and by blocking fat absorption in the intestines. The same compounds that allow ginger to ease nausea are the ones that enable enhanced efficiency in the digestive tract, which can lead to weight loss. In a review of 27 articles, most of the experimental studies proved that ginger root played a role in accelerating weight loss. While clinical studies had more limited results, the potential for ginger to accelerate metabolism and control appetite make drinking ginger tea a good addition to a healthy diet and exercise regimen (9). Many people suffer from aches and pains caused by exercise or a chronic disease. Consuming ginger tea may help to ease muscle pain and joint pain associated with arthritis, menstrual cramps and osteoarthritis. The main reason behind this health benefit is the anti-inflammatory properties of ginger root. A study published in Arthritis and Rheumatism in 2001 showed that ginger tea had the effect of pain relief when it came to sufferers of osteoarthritis. The study focused specifically on knee pain and 63 percent of the 247 participants felt a marked reduction in their osteoarthritis pain (10). Ginger has also shown promise when it comes to alleviating pain caused by menstrual cramps. 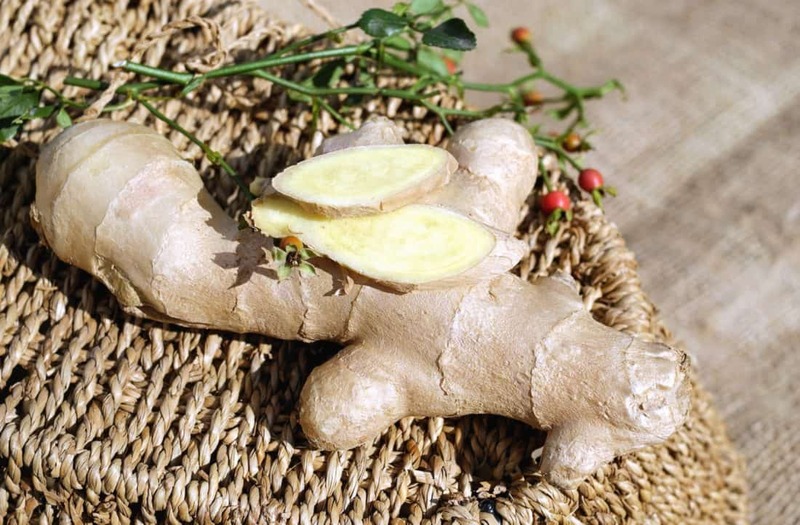 A Shahed University study analyzed the effects of ginger root on 120 student residents attending the university. The students who were given 500 milligrams of ginger root powder for five days showed decreased intensity and pain duration associated with cramps compared to the control group who received a placebo (11). With rates of diabetes on the rise, more and more researchers are pouring time and effort into finding solutions and preventions for the disease. Ginger tea has shown promising results when it comes to treating diabetes by regulation blood sugar levels. A study by the Shahid Sadoughi University of Medical Sciences analyzed 88 people who had been living with diabetes for 10 years or more. The participants who were given 1 gram of ginger powder three times daily showed decreases in blood sugar levels after the eight-week study. The researchers believe ginger helps to regulate blood sugar by inhibiting the enzyme that breaks down glycogen, which can lead to blood sugar spikes (12). It's also important to note that the study was conducted alongside the traditional medications the diabetic participants were prescribed by their doctors. So while drinking ginger tea won't necessarily cure diabetes, it can help to regulate blood sugar levels. One of the leading causes of death in the United States is heart disease. Contributing factors include smoking, high cholesterol and an unhealthy diet. Fortunately, if you suffer from high cholesterol and want to get healthier, ginger tea may be able to help. Drinking ginger tea can help to lower dangerous triglycerides and LDL cholesterol, known as bad cholesterol. Ginger tea can increase circulation and reduce inflammation in arteries while reducing cholesterol, thus alleviating the risk of build-up in arteries that can cause blood clots and heart attacks (13). Consuming ginger tea can improve cognitive performance in middle-aged individuals, treat dementia and can help to prevent neurological diseases such Alzheimer's disease and Parkinson's. Most of these benefits have been attributed to the anti-inflammatory properties of the ginger root (14). A 2011 Thai study gave 60 middle-aged women doses of 400 to 800 milligrams of ginger extract for two months while using computerized and auditory tests to monitor brain function. At the end of the study, the women who received ginger extract showed enhanced working memory and faster cognitive processing. The study also demonstrated an increased power of attention and better quality of memory (15). A 2013 animal study also found a connection between the use of ginger root and Alzheimer's disease symptoms. Rats were given varying doses of ginger root extract over a period of 35 days and tested for brain function. The rats that were given more than .05 milligrams of ginger root extract showed shorter incidences of memory deficits. While more research is needed, there is evidence that ginger root can have an effect delaying the cognitive impacts of Alzheimer's and Parkinson's disease (16). In general, ginger tea doesn't have any significant side effects. Most nutrition experts recommend consuming a maximum of 4 grams of ginger daily. Since each cup typically contains about 250 milligrams, there is no need to worry about consuming too much. However, there are a few minor irritations that can be caused by consuming ginger tea including heartburn and dizziness. Consuming ginger may can heartburn or indigestion if you are not accustomed to spicy foods. Consuming too much ginger can also cause diarrhea so start out with one or two cups per day and see how your body reacts. 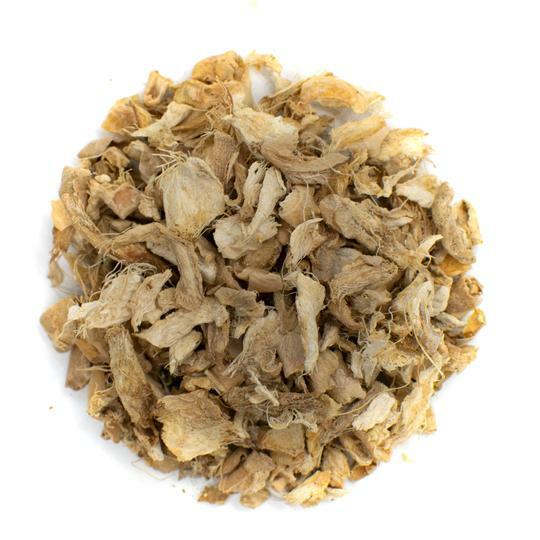 Since ginger can lower blood pressure, you may experience feelings of dizziness or lightheadedness. Again, you would have to consume large amounts of ginger to encounter these side effects, so stay within the recommended limits. Ginger contains the same naturally occurring salicylates that are used in aspirin and are responsible for thinning blood. Taking ginger and blood thinners can increase the risk for bruising or complications. If you take blood thinners, discuss with your doctor before drinking ginger tea regularly. Ginger tea can be prepared using ginger powder, tea bags and raw ginger. It's most common to use raw or fresh ginger, but tea bags are great for use on the go or in the office. To brew ginger tea using raw ginger, use the following steps. If you are using raw ginger, you should start by grating the ginger into small slivers. Aim to use about 1 teaspoon of grated ginger for every 8 ounces of water. If you find that the ginger flavor is too strong for your tastes, you can add extra water. To release the flavors and healthy compounds in ginger tea, use hot water when brewing. Bring the water to a boil and then add immediately to your cup of grated ginger. Let the ginger steep for 10 minutes when using raw ginger. If using a tea bag, brew for the recommend time printed on the tag. Since ginger can have a strong taste, many people like to add lemon, honey or maple syrup to sweeten the flavor and counterbalance the spicy components. Ginger tea is a natural remedy for a variety of ailments ranging from nausea and stomach pain to lowering high cholesterol and protecting brain function. Remember to seek medical advice for your physician before using ginger tea as a replacement for or in conjunction with any medications. 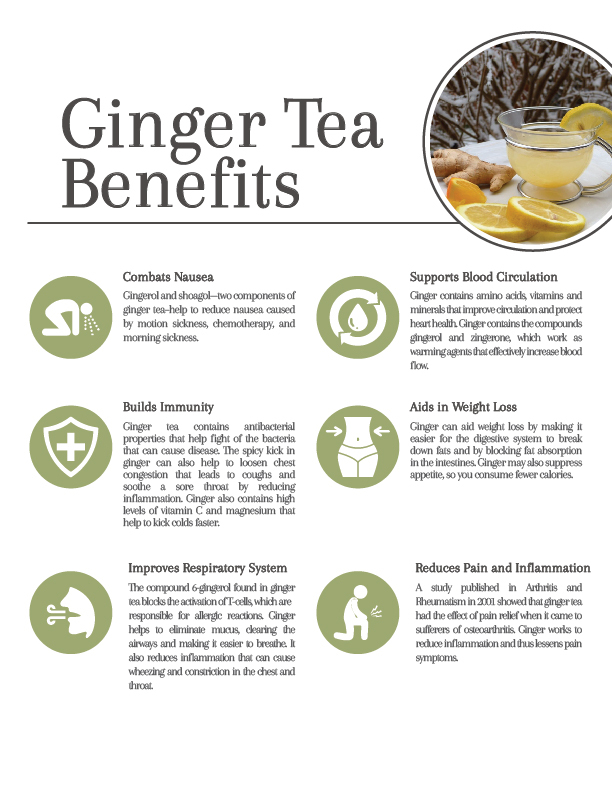 While not a standalone cure, ginger tea is an ideal addition to a healthy lifestyle. 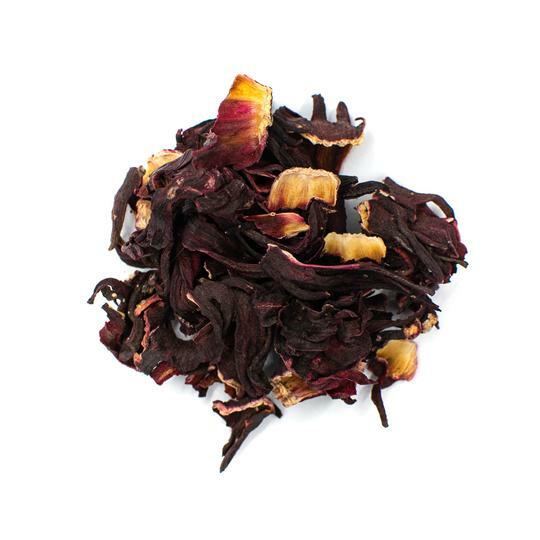 The spicy flavor, warm finish and invigorating aromas make drinking this tea a delightful activity. 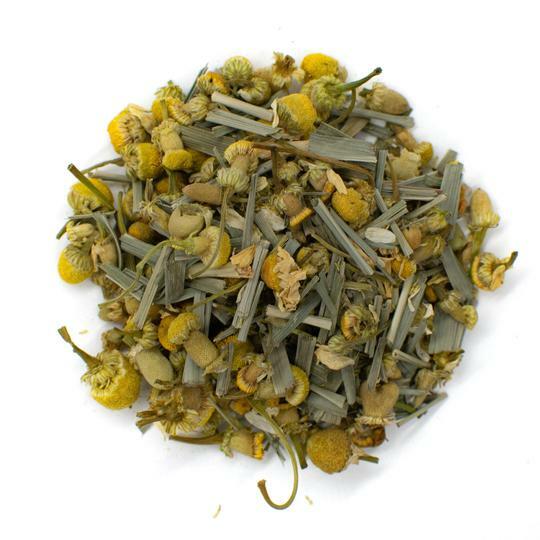 Brew a cup of aromatic ginger tea and enjoy the benefits of relaxation and good health. Click the button below to unlock 20% off your first tea order! As a digital nomad, I get to work from anywhere in the world and discover new teas every week. 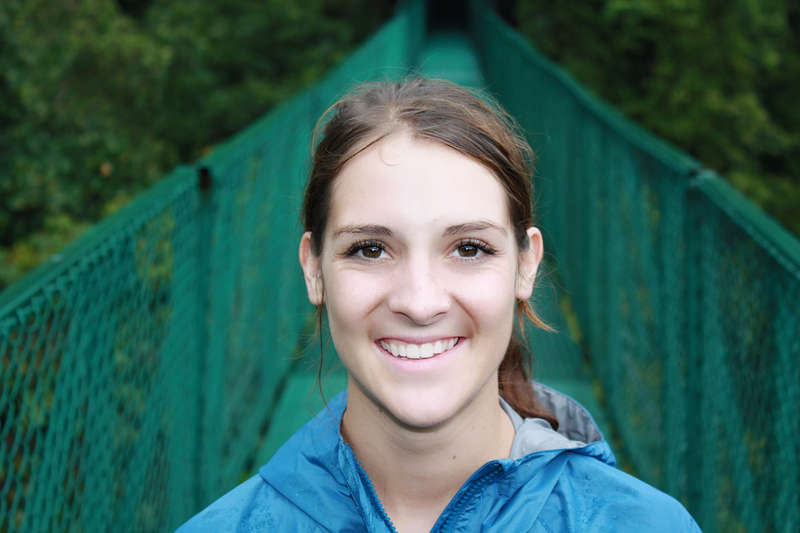 When I'm not working, you can find me mountain biking, hiking, and petting every stray dog I meet.